Audio messages and hymns on (3) disks. This set contains (3) disks. Two of them are all of the audio messages available on our website. 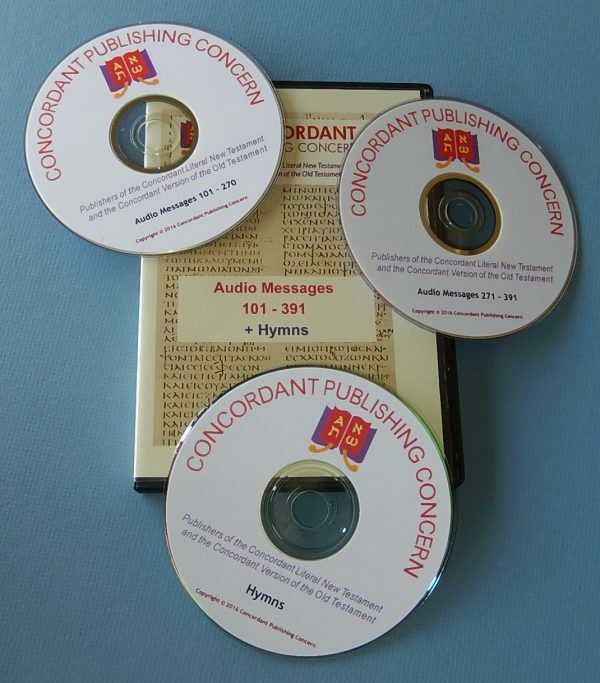 The third disk contains all of the hymns available on our website. All of these are in Mp3 format and are available to download from our website for free. This set was created for those desiring a physical digital copy or have a slow download speed. Two of the disks are DVDs. Although the media utilized is a DVD-R DL, the files are Mp3. Therefore a “region” is not applicable. The two DVDs should play on a PC device capable of playing DVD-R DL discs. The same rule applies to the CD in this set. Some DVD players may also be capable of playing all three disks, but it is best to check compatibility before ordering.